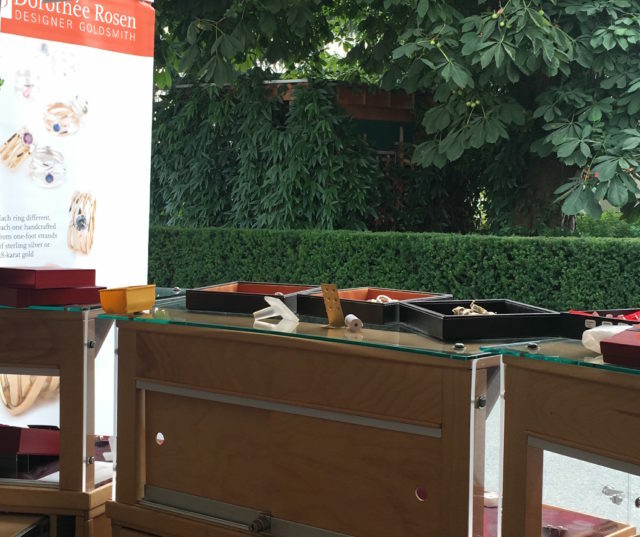 I am so excited to be back in the studio after my Vancouver Summer Show, the Harmony Arts Festival. 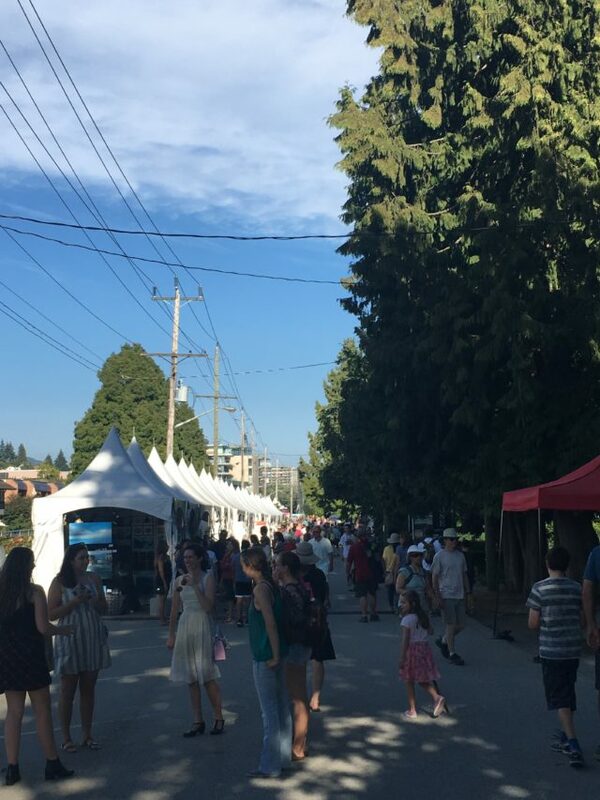 This lovely event is held on the shores of WestVancouver, and includes not only artisans of high calibre, but also lots of live music and many other cultural events. 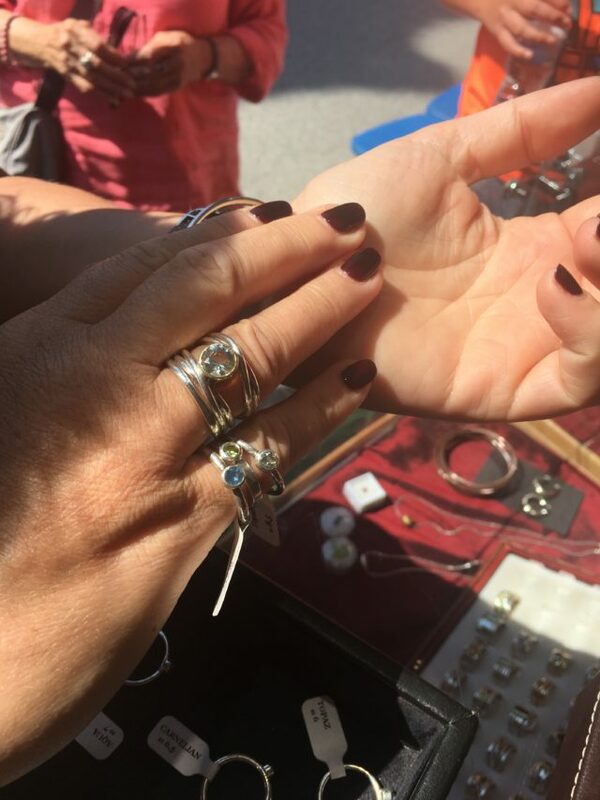 I really have quite the following in Vancouver now, and it is delightful when clients stop by to show me the rings they purchased from me in previous years, or just to say Hi and check in. There are such great stories in connecting with these delightful people! In fact, I am about to publish a guest post of such a story – keep your eyes peeled, it’ll come up soon! I took a bit of time off this year, in between the two weekends, and had a lovely hike in Lynn Valley with my delightful colleague Roberto Fioravanti. I also got to know my booth neighbour Kathleen Tennock who’s work I have been admiring for years. Effie Baker (a native Nova Scotian!) was most kind to me by giving me a ride every single day to and from the show from my AirBnB room, which was not located quite as advertised (it was all the way at Queens Ave and 22nd – not ‘easy walking distance’ to Harmony, as advertised!!). 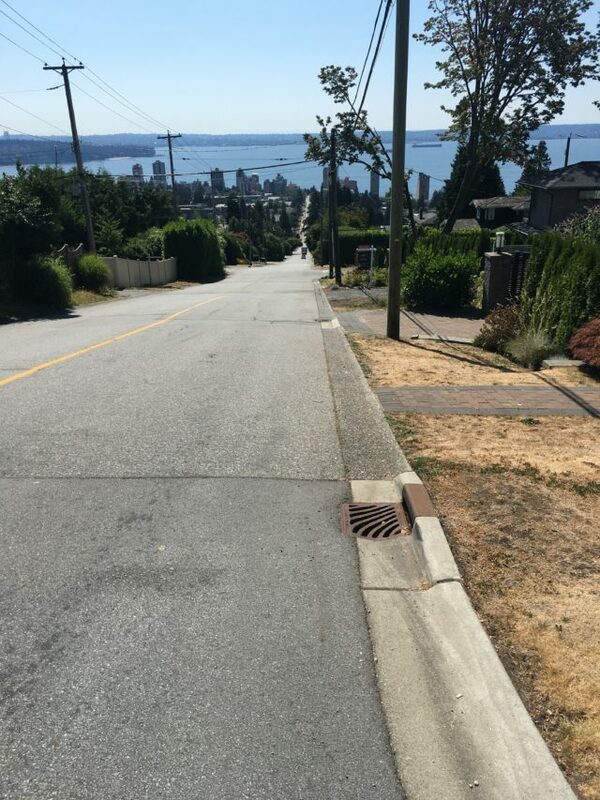 For those who don’t know: WestVancouver above Marine Drive has a very steep incline. Google Maps tells me that elevation along the 1.5 km from the bottom to the top is 142 metres! It’s great for the thighs to walk up, but down quickly became painful for the shins. 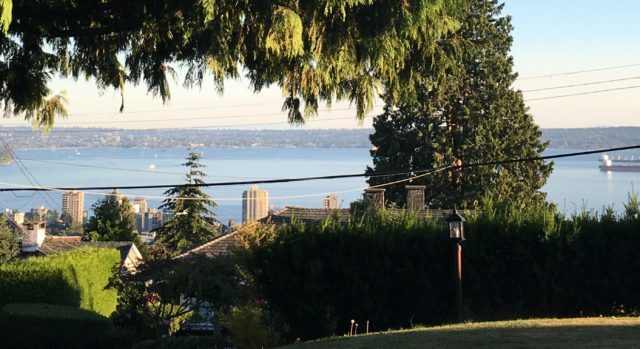 The remote location did give me the unexpected benefit of several ‘sightseeing’ tours through West Vancouver, since the small bus that I took to get to and from the grocery store zigzags through many of the streets above Marine Drive. 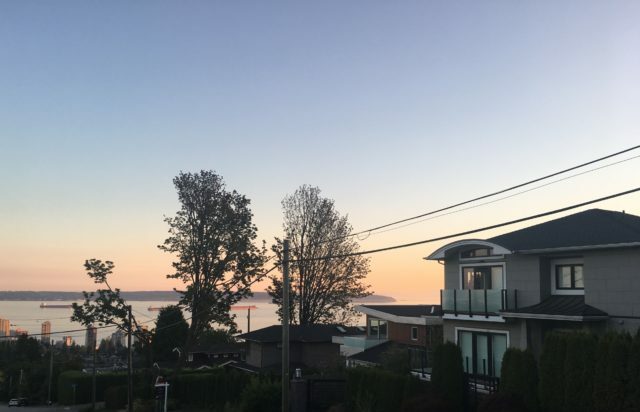 On these occasions, the disparate collection of houses in this area becomes very evident: what probably used to be cottage country has few of the older quaint homes remaining behind impressive greenery, where most have been replaced with modern, mostly glass & steel mansions. The good thing about that location was that there was a lovely view of the water ( even IF far in the distance), including during the annual fireworks competition. Growing up, fireworks were something very special in our family – they only occurred on New Year’s Eve, exactly at midnight. And so I associate fireworks with a very festive and elegant feeling – we would drink champagne and -without fail-, classical music would be playing. 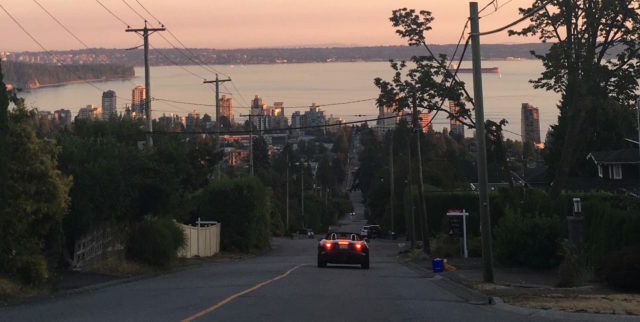 To this day I have not figured out how to synch the grandiose fireworks display of Vancouver’s Celebration of Light with the music it is intended to go with – I keep trying! I have downloaded the app, tried to find it on the radio, etc etc. Can someone point me in the right direction, please? I find fireworks without music just so sad. Fireworks are an art in their own right, and I feel that much is lost if the visual display occurs without the auditory accompaniment. So if you have figured out how to listen to the music for which each fireworks display is created – by all means, please let me know! And see you at CircleCraft Market, November 7-11 at Convention Centre West, downtown Vancouver!